Advanced Hospital Management System is a complete package one needs for a hospital to deal with all the day to day operations taking place. The Software is for the automation of Hospital Management.It can be used in any Hospital, Clinic, Dispensary or Pathology labs for maintaining patient details and their test results. 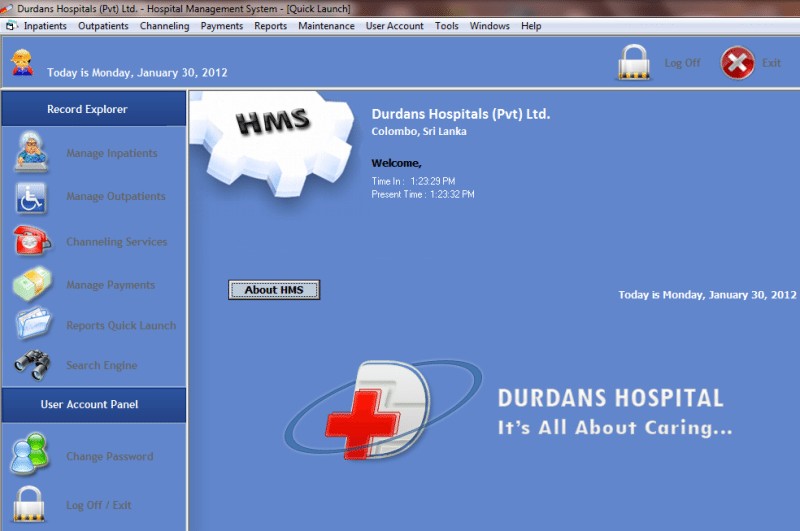 This project is developed for Durdans Hospital PVT. LTD.
Providing Prescription, Precautions and Diet advice. Providing and maintaining all kinds of tests for a patient. This project will be a desktop application to be developed in VB 6.0 having Microsoft Access as backend.